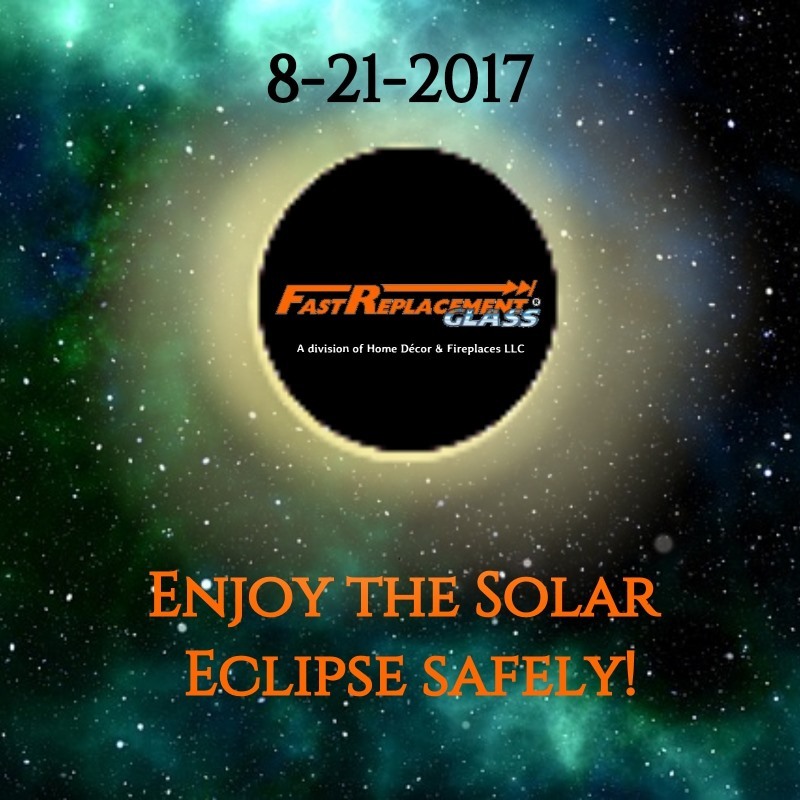 Home/Blog/Safety Tips/Enjoy The Solar Eclipse Safely! Enjoy the total solar eclipse safely today! Read our helpful tips before you go outside to experience today's phenomenon! We are getting ready to experience today's total solar eclipse! Although Fast Replacement Glass is located in Northwestern, PA, and we don't reside along the 70-mile wide "path of totality", we will get to see quite a show today! About 75.9% of the sun will be covered by the moon at our peak time of 2:33 p.m. EST, and we're ready to head outside and take part in this historic event! If you're anywhere along the path from Lincoln Beach, Oregon to Charleston, South Carolina - you're in for a 2-3 minute treat! This is interesting and something we did not know until today: in one calendar year, it is not uncommon to have 2 to 5 partial solar eclipses! Today's event, however, is considered a "one in a lifetime" occurrence because it is a total solar eclipse. It will take about 375 years for this to happen again along the exact same path, so unless you're a world traveler, today may be the only time you'll get to experience the phenomenon! Inspect your 1SO 12312-12 compliant solar viewing glasses before use and follow any instructions that come with the glasses. DO NOT use them if they are scratched or damaged. Continue wearing your eyeglass or contacts - do not remove them! Never look at the partially eclipsed sun with anything other than your safety glasses! This includes unfiltered cameras, telescopes, binoculars, or other optical devices. If you are using a welding helmet, it MUST have a shade 14 lens to protect your eyes. Stand still and put on your solar glasses before looking up at the bright sun. When you are done, turn your eyes away from the sun before removing your glasses. You may remove your safety glasses ONLY when the moon completely covers the sun and ONLY if you are in the "path of totality". When the sun begins to reappear, you must wear your safety glasses to look at the remaining partial phases. Supervise your children - cover all safety tips with them! Pets normally don't look up at the sun, so it is not necessary to get solar glasses for them. However, as an extra safety precaution, you may want to keep them inside during the partial eclipse phases so avoid accidentally damage their retinas. If cannot you locate safety glasses for today's eclipse, try the pinhole projector! With an empty cereal box, some white paper, aluminum foil, scissors, tape, a pencil, and a safety pin or sewing needle, you can easily make one for your eclipse viewing pleasure! Trace the bottom of the cereal box onto a white sheet of paper. Tape the paper to the inside bottom of the cereal box. Close the top of the box, then cut two holes in the top. Cover one hole with foil and tape the foil to the box. Poke a small hole with a pin or needle in the middle of the foil. Take your pinhole projector outside and face away from the sun so that the light shines directly into the pinhole. Look through the 2nd hole (the one you did not cover) to see the sun projected on the paper inside the box. For more tips on solar projection methods, click here or go to https://eclipse2017.nasa.gov/safety. We hope you enjoy the today's total solar eclipse experience! Last updated on August 21st 2017.